1-	Darcin AE, Dilbaz N, Yılmaz S, Çetin MK. 2-	Bitter I, Treuer T, Dilbaz N, Oyffe I, Ciorabai EM, Gonzalez SL, Ruschel S, Salburg J, Dyachkova Y. 3-	Darçın AE, Dilbaz N, Okay IT. Barbexaclone abuse in a cannabis ex-user. Subst Abus. 2010 Oct;31(4):270-2. 4-	Alptekin K, Aydin H, Gucer KM, Dilbaz N, Goka E, Esendemir C, Oguz H, Arabul G, Aslaner F, Ayer A, Çeliker AR, Cirit H, Pınar Z, Ünal A. Patient adherence and efficacy of quetiapine treatment in schizophrenia: results of a multicentre, naturalistic 6-month follow-up study. Int Clin Psychopharmacol. 2010 Nov;25(6):342-8. 5-	Okay T, Şengül C, Açıkgöz Ç, Ozan G, DilbazN. Prevalence of Alcohol dependence and abuse in a general hospital: sensitivity and specificity of MAST. Eur J Gen Med 2010; 7(1): 9-16. 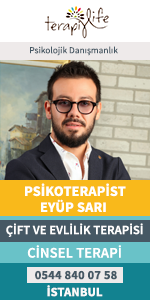 6-	Kartal M, Coskun O, Dilbaz N.
7-	Pazvantoglu O, Selek S, Okay IT, Sengul C, Karabekiroglu K, Dilbaz N, Erel O.
Oxidative mechanisms in schizophrenia and their relationship with illness subtype and symptom profile. Psychiatry Clin Neurosci. 2009 Oct;63(5):693-700. 8-	Eren S, Bayam G, ErgönülÖ, ÇelikbaşA, Pazvantoğlu O, Baykam N, Dokuzoğuz B, Dilbaz N. Cognitive and emotional changes in neurobruceollosis. J Infection 2006; 53:184-189. 9-	Dilbaz, N., Sengül, C., Okay, T., Bayam, G., ve Türkoglu, A., ”Treatment Of Venlafaxine And ECT in Treatment-Resistant Depressive Patients,” Int Journal of Psychiatry in Clin Practice, 9(1), 55-59 (2005). 7-	Dilbaz N, Hoeben D, Lahaye M, Tessier C, TzorzorasT, Louvrier J, Helldin L, Dilbaz N, Naber D, Deminskiene. A flexible-dose study of paliperidone ER in non-acute patients with schizophrenia previously unsuccessfully treated with oral risperidone. XXVII.CINP World Congress, Hong Kong 2010. 8-	Güvendik İ, Boşgelmez I, Dilbaz N, Esen M. Comparative assessment of transferrin isoforms snd severalconventional markers in alcohol use disorders. 6.Annual meeting of Balkan Academy of forensic sciences, Abstract book, 211, Greece, 2009. 9-	Güvendik İ, Boşgelmez I, Dilbaz N, Esen M. Plasma protein expression profiling- A novel approach for biomarker search in alcohol use disorders. 6.Annual meeting of Balkan Academy of forensic sciences, Abstract book, 104, Greece, 2009. 10-	I Başgelmez, Güvendik, Esen M, Dilbaz N. The effect of depletin of high abundance proteins in human plasma sample preparation in proteomic analysis: an application in biomarker search. 9th International symposium on pharmaceutical sciences. Proceedings and abstracts, 394, Ankara, 2009. 11-	Dilbaz N, Comorbid anxiety disorder:Social anxiety disorder and Obsessive compulsive disorder. 11th Bridging Eastern and Western Psychiatry Congress. Congress Book, 30, Antalya2008. 14-	Dilbaz, N., Pazvantoğlu, O., ve Okay, T.,” The Relationship Between Antipsychotic Use and Plasma Antioxidant Levels in Schizophrenic Patients” The İnt. Journal Of Neuropsychopharmacol, Abstracts From the 25. CINP Congress, Chicago vol.9 (supl 1) 273, Cambridge University Press, Cambridge, 2006. 15-	Saylan M,Dilbaz N, Akkaya C, Bozkurt A, Pekmen S. Time to remission in manic patients. Abstracts From the 25. CINP Congress, Chicago vol.9 (supl 1) 103-104, Cambridge University Press, Cambridge, 2006. 16-	Dilbaz N, Sengül C, Okay T, Bayam G, Türkoğlu A. “Combined treatment of venlafaxine and ECT in treatment resistant depressive patients.”(Scientific clinical session) America Psychiatric Association Congress, Atlanta, 2005. 17-	Sengul, C., Dilbaz, N., Okay, T., ve Sengul, B.,“The Effectiveness of Memantine in Alcohol Withdrawal Syndrome,” European Neuropsychopharmacology, papers of the 18th. ECNP Congress, Amsterdam, vol. 15(suppl 3), 577, Elsevier, Amsterdam, 2005. 18-	Dilbaz, N., Sengul, C., Okay, T., Turkoglu, A., ve Bayam, G., “The Effect of Atypical Antipsychotics on Seizure Duration,” 13th WPA Congress, of Psychiatry , Cairo, abstracts Book (World Psychiatric Association), 570, 2005. 19-	Dilbaz, N., Sengul Balcı C, Çetin MK, Duman T, Yurtkulu F, Şengül C. “Suicide attempts who admitted to Ankara Numune Research and Training Hospital Emergency department during 2002-2003”.13th WPA Congress, of Psychiatry , Cairo, abstracts Book (World Psychiatric Association), 496, 2005. 20-	Dilbaz,N., Sengezer, T., Esen, M. ve ,Okay, T., “Focus Groups about Ectasy Use in Ankara-Turkey” 13th WPA Congress of Psychiatry, Cairo, abstracts Book (World Psychiatric Association), 711, 2005. 21-	Sengul C., Okay T., Turkoglu, A., Bayam G., ve Dilbaz N. “Seizure Duration with Clozapine and Olanzapine in Electroconvulsive Therapy, ” European Neuropsychopharmacology, papers of the 17th. ECNP Congress, Stocholm, vol. 14(suppl 3), 236, Elsevier, Amsterdam 2004. 22-	Turkoglu, A., Okay T., Sengul C., Bayam G., ve Dilbaz N., “ Serum Interleukin 6 and 8 Levels in Schizophrenia,” European Neuropsychopharmacology, papers of the 17th. ECNP Congress, Stockholm, vol. 14(suppl 3), 236, Elsevier, Amsterdam 2004. 24-	Dilbaz N. Treatment of Dysthymic Disorders. Toward Life Harmony: Mood Disorders. Ankara,2001. 3-	Dilbaz N, Hendricks V. Screening and assessment. Young people and drugs: Care and Treatment. Jablonski P (ed) Council of Europe 2006, pp 103-131. 4-	Dilbaz N. Comorbidity of substance abuse: diagnosis and treatment immplications in adolescents. 2006. Jablonski P (ed) Council of Europe 2006, pp 169-190. 2-	MC Balcı, C Şengül, Tokay, N.Dilbaz. 4-	N Dilbaz. Ankara AMATEM penceresinden Türkiye’nin Bağımlılık fotoğrafı. Sağlık Düşüncesi ve Tıp Kültürü Dergisi. 2011, 26-29. 12-	Kumsar NA, Okay IT, Dilbaz N. Oksibütinin kötüye kullanımı ve bağımlılığı: İki olgu sunumu. Klinik Psikofarmakoloji Bülteni 2009; 19(Ek 1):1123-124. 24-	Dilbaz N, Şengezer T.